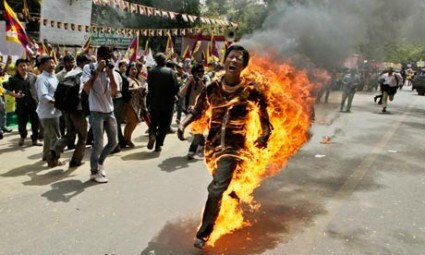 The Tibetan above doused himself in petrol and set fire to himself outside the Indian Parliament the day before a visit by the Chinese President. Although bystanders put out the flames, Jamphel Yeshi is not expected to survive the 90% burns to his body. Over the last 15 months about 30 Tibetans have chosen self-immolation as a way to bring world attention to the occupation of Tibet by China. Since its invasion in 1950 China has been practicing ethnic cleansing in Tibet as a way of eliminating Tibetan culture and resistance. 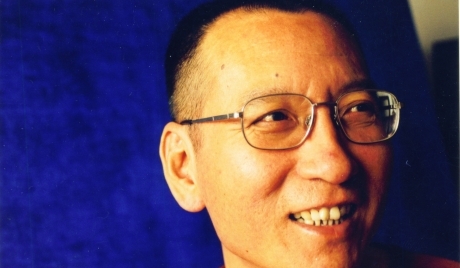 China, for its part, dismisses the self-immolators as “criminals”.